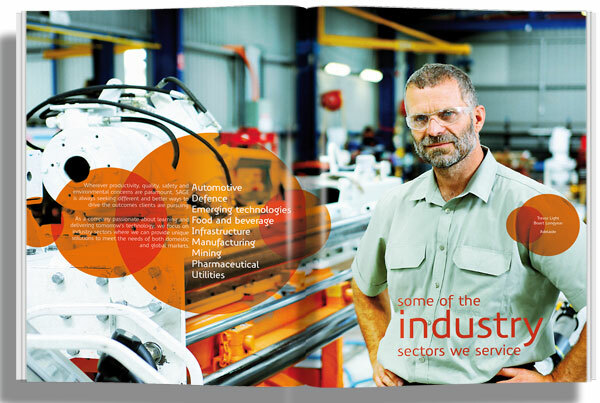 SAGE started life as a two man electrical engineering company in 1994, when we met them they had grown to an Automation specialist with over 200 employees, a list of Australia’s blue chip clients, a turnover of $40 million and a truly national presence. The only issue was they had truly outgrown their current brand, both strategically and stylistically. 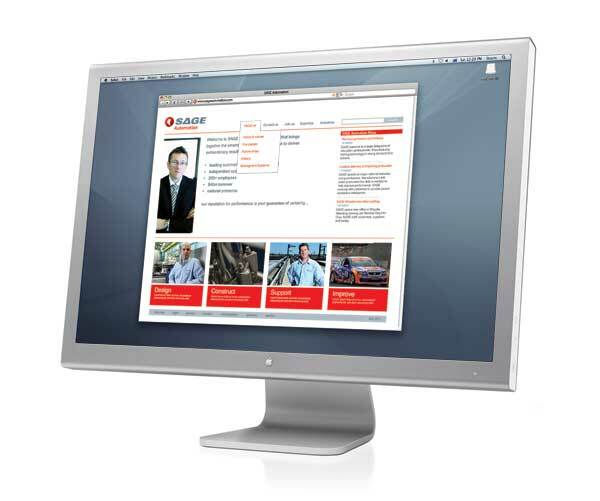 For an engineering company one of the most important pieces of brand communication is their Tender. For SAGE it was one of the driving forces for an update. If the abilities and beliefs of the company were not being expressed, the way a good visual brand system can, they are putting themselves at a serious disadvantage when tendering. And winning tenders is the life blood to growth and survival for a company like SAGE. Naturally, we started out with a Strategic brand workshop, with the executive team, to get some sharper thinking happening on the brand. From the workshop we developed a Brand Essences, Values and Personality. 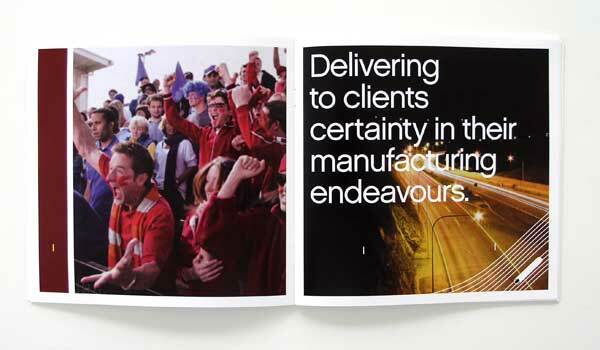 These were then combined into a Brand book, a publication that records and explains the strategic intent of the brand. 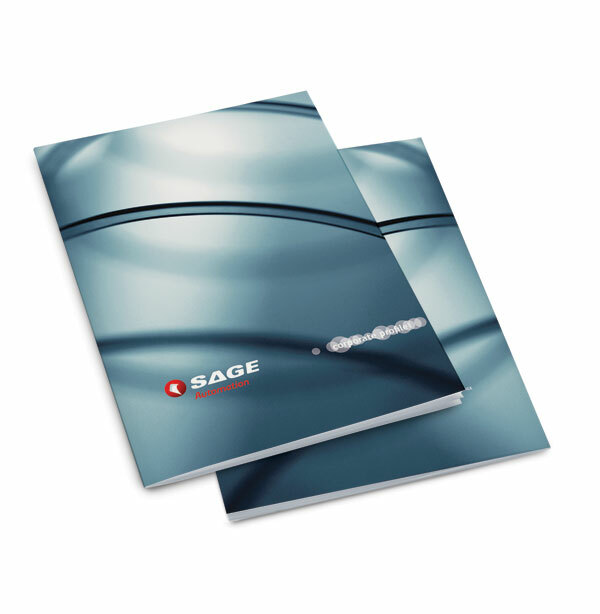 Upon completion of the brand book it became clear to the exec team at SAGE that their brand mark and visual language no longer lived up to their how they envisioned their brand. We we’re engaged to evolve the brand’s visual assets to a point where the brand mark would be a visual standard for the progressive and modern business SAGE had become. We present several steps from a conservative touch-up to a modern corporate brand that could be a generational leap. We we’re delighted when they backed themselves (and us) and settled on what we thought was the best solution but might have been too much of a change for them. One of the few stipulations of the evolution was that the icon must stay, apparently it’s either a lathe bit, or a scythe. What ever it was is lost in the sands of time, the important thing is that it represented SAGE since 2000 and is recognised by both clients and staff. The new brand mark was created to have the visual language of a modern international brand. The lathe bit became a counter cut out of a red sphere. Which deliberately has an Asian feel, we wanted the brand to feel bigger than an Australian brand. The logotype, strong caps, in a modern but friendly sans-serif. The A of SAGE is the Delta symbol Δ which to engineers means a change or the difference. This is then locked up with the Name of each of the different companies that make up the SAGE Group. A key element of the visual language was the sphere elements, a series of overlapping translucent spheres, that can work as a secondary branding element and provided the opportunity to vary the level of branding used on any communication. The visual language for the brand extended to a series of metallic images, which help express the modernity the brand required and could be used in branded pieces while a new, more modern photographic library was developed. 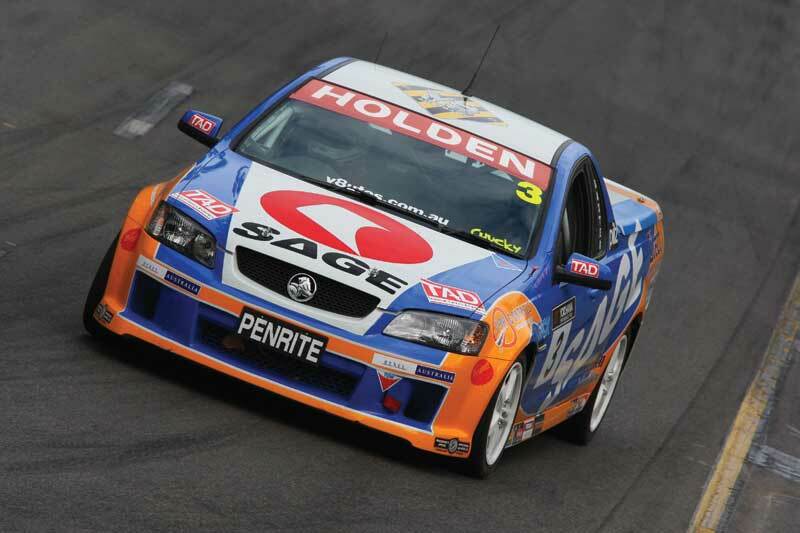 The new identity was then implemented across stationery, uniforms, livery, signage, presentations, brochures, website, the all important tender templates and the SAGE Racing Ute. Not all brand expressions are of the same value. For SAGE, the look and feel of their tenders was the most value. For your brand it will probably be something different. Knowing what it will be, is the key to getting real value from your visual brand. Then using the 80:20 rule you can leverage the other key points to supercharge your brand. If you’d like to have a chat about how you can evolve your brand, strategically and visually, or target your most rewarding brand expression, give us a call. I had a little trouble understanding right away, but I think I get what meant now. Thanks!